Formerly in Whitecroft Hospital, Sandy Lane, Whitecroft nr Newport, Isle of Wight. (2013) Reinstated at the site, now named Gatcombe Manor. Stone plaque. 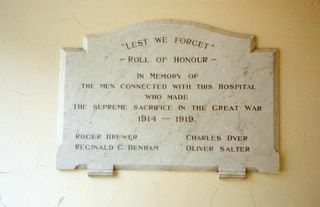 The plaque was in the entrance lobby of the Hospital, which was the former County Asylum. 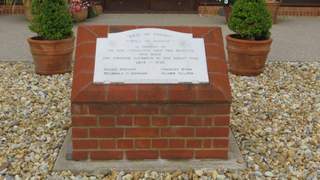 Following redevelopment of the Hospital site for housing, the plaque was moved to the Sevenacres ward at St Mary's Hospital, Newport. 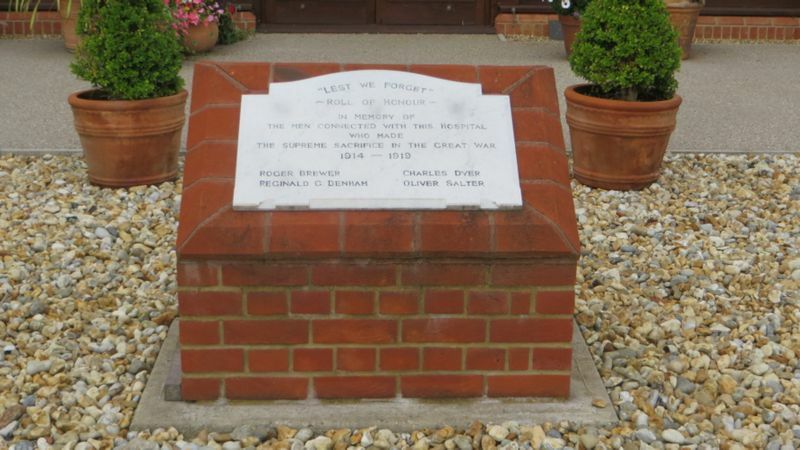 A new brick plinth for the Memorial was created for the Memorial in 2013, and the refurbished Memorial was unveiled at the former Whitecroft site, a residential development now named Gatcombe Manor, in November 2013. The ceremony was conducted by the Rev Marcus Bagg, with representatives of the developer, Mildren Homes Ltd, and the Royal British Legion, in attendance.